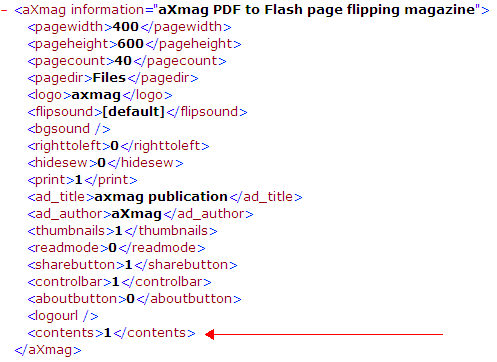 You need to manually modify the setting.xml and contents.xml in the output to add this "table of contents" button. 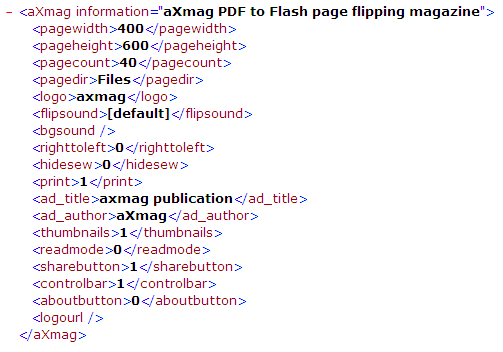 Save the setting.xml in Notepad and open index.html you will find the "table of contents" button is added. You can add or delete "<item><label></label><page></page></item>" to add or delete page index. You can in "<label></label>" enter title for the index and in "<page></page>" enter the number of page to index.